Harrington Village is a 55+ community in Souderton, Pennsylvania that enjoys a prime location in Montgomery County. This age-restricted community offers resale homes developed by W.B. Homes. Residents enjoy a charming community clubhouse that contains plenty of space for meetings and social events. This tight-knit neighborhood of attached homes gives residents a sense of community where neighbors share common interests and become lifelong friends. Residents of Harrington Village enjoy a variety of features that support a vibrant lifestyle. The clubhouse serves as the main location for many community events. This welcoming facility features a lounge, meeting room, catering kitchen, game room, crafts room, and exercise room. After a friendly match at the billiards table residents can relax at the bar in the game room. The thoughtfully designed amenities continue outside of the clubhouse with a covered patio as well as walking and biking trails. During the summer months you ll often find homeowners playing on the bocce ball or shuffleboard courts. Harrington Village consists of 120 homes built between 2005 and 2007. Available on a resale-only basis, these townhomes offer a great option for active adult homebuyers looking for a low-maintenance residence. W.B. Homes offered two floor plans: the Ascot, which is an exterior unit and the Ashburn, an interior unit. These floor plans range in size from 1,885 to 2,096 square feet and were built with two bedrooms, two to four bathrooms, and an attached garage. Some homes were also built with den options, providing the perfect space to entertain guests or create a home office. Residents of Harrington Village enjoy a carefree lifestyle geared toward the needs of active adults with an amenity-filled clubhouse. Whether spending a quiet evening in the lounge or joining one of the fun activities, there is something for everyone to do in their free time. Some clubs and activities include themed parties, book club, game nights, holiday parties, needling, and poker. Harrington Village in Souderton, PA is situated within Franconia Township. This age-restricted community in Montgomery County is located within a suburb setting yet less than an hour s drive from big-city attractions in Philadelphia. Closer to home, throughout Souderton and Montgomery County, residents enjoy a variety of entertainment options. During the summer months, over a dozen outdoor concerts are held throughout the county. Other attractions include the Asher Candy Company, The Montgomery Theater, as well as museums and historical societies. 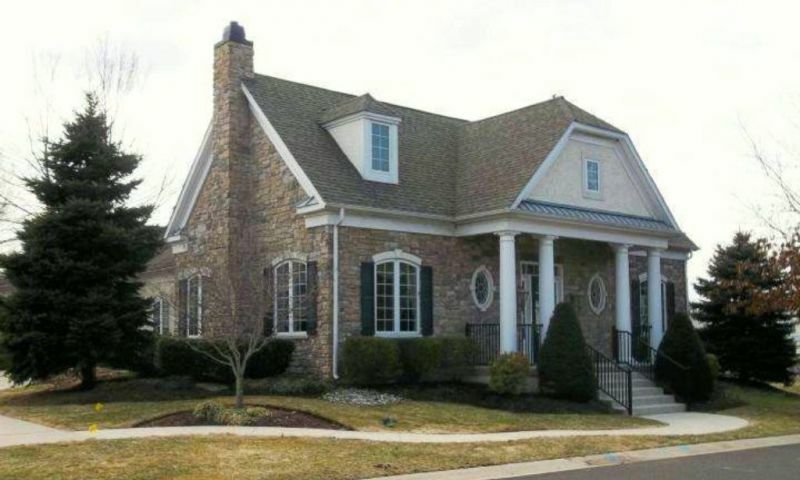 When looking for a 55+ resale home in Montgomery County, Pennsylvania, Harrington Village provides it all. There are plenty of activities available in Harrington Village. Here is a sample of some of the clubs, activities and classes offered here. There are 120 attached residneces inside of Harrington Village. Designed for 55+ homebuyers, every home was built with a first-floor master suite. Resale homes that range in size from 1,885 to 2,096 square feet can be found in two models. The Ascot model is an exterior unit while the Ashburn is the interior unit. We bought a resale Ascot plan with the loft and really like it. The layout is great and I really like the extra touches like the two walk in closets for the master, the walk in pantry and the laundry in its own room by the kitchen. The loft is great for when my sister comes to visit, she doesn't need to stay in a hotel she can just use our loft bedroom and bath for as long as she wants! Sometimes she stays for a couple weeks at a time and I love having the extra space for her. 55places.com is not affiliated with the developer(s) or homeowners association of Harrington Village. The information you submit is distributed to a 55places.com Partner Agent, who is a licensed real estate agent. The information regarding Harrington Village has not been verified or approved by the developer or homeowners association. Please verify all information prior to purchasing. 55places.com is not responsible for any errors regarding the information displayed on this website.